Recognizing that “wars are not won by machines and weapons but by the soldiers who use them,” this comprehensive manual not only informs the reader of the timeless skills necessary to survive on the battlefield, but also instructs the soldier on how to perform and execute these tasks to succeed in combat. From concealment and mobility to first aid and personal care, you too can possess the knowledge armed service people are equipped with so they can do their jobs properly and confidently. This informative and exhaustive guide draws upon the real-life experiences of soldiers who have faced warfare and lived in combat zones. Practical and explicit instructions on team formation, proper positioning for offensive and defensive maneuvers, and handling of equipment and weaponry are thoroughly explained. 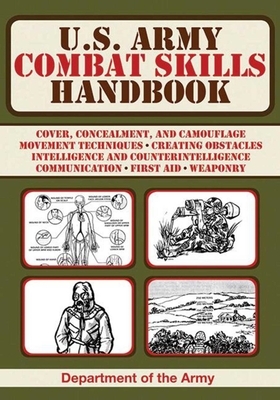 Also included is advice on life-saving CPR and wound-care techniques; sections on combat intelligence and nuclear, biological, and chemical warfare; and appendices covering mines, demolitions, obstacles, combat in urban areas, tracking, and evasion and escape. Illustrations throughout the book depict various field scenarios that soldiers face in a war zone. See what it takes to perform, inspire, and lead in the U.S. Army!